A discourse on the nature and purpose of Life as explained in The Keys of Enoch®. This book has been written using various verses within The Book of Knowledge: The Keys of Enoch®. to present an introduction to the teachings of the new consciousness, the Trinity powers, the use of the Language of Light, and the times that are upon us. To view this item on our Meditation page, click here. An in depth analysis of the Hebrew-Greek imagery of The Lord’s Prayer as it pertains to the Kingdom of God and the Coding of the Mystery of the Body of Man into the Light Body. The Prayer is presented as a message of hope and of the re-establishment of the Authority of God over the Human Evolutionary process. An overview of the five potential spiritual bodies that connect with each individual. Through the booklet we discover that the physical form is simply one manifestation of a multi-dimensional form. Here the reader is provided with an explanation of each of the Five-Bodies and how they work towards the building of our higher Christ Body of Light. In these short letters of the Apostle Paul, we have the ultimate challenge to the initiate to change from living in individuality to living in fellowship. Here the message is focused upon community building and the experience required to be the family in the midst of world change. Altruism in Christ is the key to communication and the future. An ancient text that gives a kabbalistic description of the heavenly realms that surround us. This small book begins the inner journey of awakening to the vastness of the universe. As we begin to live with the understanding of the forgotten scriptures, our cosmology expands to a greater world view where we begin to comprehend the myriad forms of creation. A recent look at anthropological evidence on the subject of creationism and an examination of deeper possibilities of human and super-human interactions. In this booklet by Dr. J.J. Hurtak, he describes how we can begin to understand what may have been the “missing link” in evolution. The booklet explains why we see the sophisticated building structures of the Great Pyramid at Giza and other wonders of the ancient world. An introductory explanation of how the Hierarchy of universal intelligence is now externalizing signs in conjunction with biblical truths to orientate and connect special areas of consciousness experience. An understanding of how the extraterresrial and ultraterrestial brothers can help us, and why they also allow us to help ourselves and humanity. This booklet provides an explanation of the unique relationship between extraterrestrial events and discrete levels of advanced intelligence. The author also explains many questions about paraphysical science and looks at what is in store for our future when we become aware that we are just one small part of the House of Many Mansions. An understanding of how the transcendental operations of the Godhead are made into living realities within our life. An overview also of our planet’s past, its mysteries and special legends, explaining how we and the energies we are now discovering are all part of that unexplained continuum. Astrobiologists are making great strides in searching for life beyond Earth. What about the reality of Extraterrestrial Biological Entities (EBEs) that have been recovered on Earth? This is a brief review of various reports given to Dr. J.J. Hurtak by different sources discussing experiences of Close Encounter of the Third Kind that took place around the time of Roswell and into the 1970s. Case studies presented here involve names changed for the protection of the witnesses. For centuries, scientists, philosophers, academics and theologians have debated the authentic history of humankind. How did we get here? Who are we? Here Dr. Hurtak demythologizes history to explain a higher spiritual anthropology from the standpoint of a higher language code revealed in our ancient western Scriptures. A special corpus of teaching on Key 118 from The Keys of Enoch® and the Holy Scriptures on the coming externalization of the angelic hierarchy of the living God. The Ten Themes focus on understanding the extraterrestrial and ultraterrestrial appearances and the coming of the Cosmic Christ within the larger context of the planetary changes. 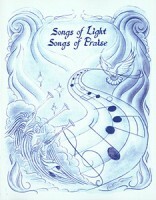 Selected Christian, Hebrew and New Hymns and Songs designed for Fellowship. The Songs employ many of the Sacred Traditional hymns, as well as the use of the Language of Light. Piano accompaniment is provided with each song. Music is an excellent tool for energizing the body and feeling the energy of the Word of God, as well as sustaining and sanctifying the transformational aspects of life. Music plays and important role in the life of a child a song will linger on in their heart, soul and mind establishing a great foundation. When mothers sing lullabies to their infants, the bond is made feelings of love stay with the child throughout their life. 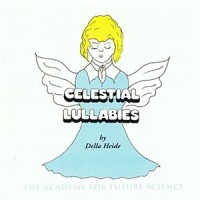 Della has written 14 lullabies that mothers can play or sing to their their infants throughout their early years.